Comment: This book has no writing or highlighting., Normal wear on cover and pages. "Jon and I have been on-air partners for ten years. We have traveled the country together and I promise you...this man KNOWS fast food." JON HEIN is a regular on The Howard Stern Show, as well as a co-host of The Wrap-Up Show. An avid consumer of pop culture and fast food, he is the author of Jump the Shark and was the host of Fast Food Mania on Discovery TV. He lives with his family in New York. Start reading Fast Food Maniac on your Kindle in under a minute. 4.0 out of 5 starsHit 'em With Some Fast Food! 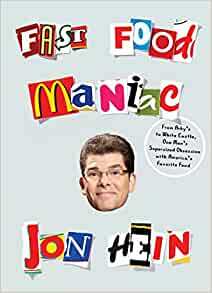 I've been a fan of Jon Hein's work before he even came to the Howard Stern Show and as a fellow fast food fan, I looked forward to the book. Overall it's good, but I had to take off at least one star because of the following: a) While I'm glad he gave some love to more local/regional chains, they should not get the same amount of space as the national ones. 90% of the country will never get a chance to go to them, so to try and do a history of McDonald's in 4/5 pages doesn't make sense and you don't really learn much as a result. b) I know this is book is to support/love fast food, but everything seems to be wonderful and the best. He even just takes small jabs at Burger King in the book, even though on the air he has been vocal against them. Not sure if he was afraid to speak his mind because he may lose some perks at these places or didn't want to have to deal with grief from the supporters. Still worth your time and a good reference of fast food places. 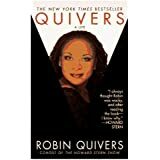 I wanted to love this book because of Hein on Stern. I was disappointed. It's like he just copied & pasted the first Wikipedia paragraph of every fastfood joint he could think of. Basically, every chapter is "here are the three things I really like eating at __________." This is a review of the audio book. A good portion of the audiobook is the author reading formatted lists. It isn't easy to understand and got quite monotonous. The small percentage of the audiobook that was narrative in nature was fun and interesting. It might have been interesting to skim the lists in printed form, but it was mind numbing as an audiobook. The lists were the best part but avoided saying anything negative. First 3/4ths of the book is only restaurant history. Give us opinions! I'm a big foodie. Very easy to read book. Brings back alot of memories. A bunch of restaurants I need to try.